The “Son of Hyde” from Visual Sound seems to win with the Z Vex box of rock a close second. Of course the results should be taken with a grain of salt as we don’t know which amp is used, only one guitar is used, etc. The tone comes as much from the fingers as it does from the gear and there is not one definitive answer as each player will have its preferences. It is interesting nonetheless and there are more shoot out videos on their youtube channel. 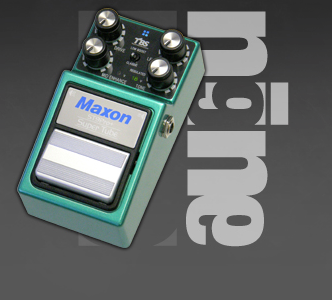 In a previous post, I mentioned that Maxon was the company which made the Tube Screamer and other pedals for Ibanez in the 70s/80s. They are now producing pedals under their own brand and they have just released two new models which will bring memories of the past. The SM-9 Pro+ Super Metal is not an exact reissue of the 80s Ibanez SM-9. I own an original one and it sports 5 knobs as opposed to the new one which has 4. Also, the 2010 version can be powered with a 9V power supply as well as 18V. In the latter case, it apparently increases “the headroom, frequency range, and dynamic response of the SM-9 pedal”. This new arrival in the Maxon line is clearly geared towards all metal genres, even the most modern, as the sound examples suggest. The old Ibanez SM-9 was also a metal pedal at the time but in an eighties way of course. It was interesting though as it did have some “tube screamer” DNA which does not seem to be the case with the new model. As to the ST-9 Pro +, ST stands for “Super Tube” to emphasize its Tube Screamer ancestry, not the fact that it is tube based because it is not. As with the SM-9, the ST-9 Pro+ is not an exact reissue of the 80s Ibanez model. 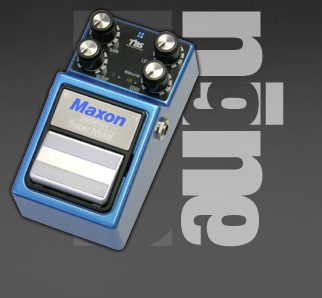 Maxon claims it is based on the circuit of the good old TS808 Tube Screamer but with added flexibility and more gain options. On top of the usual LEVEL, DRIVE and TONE knobs there is a 4th knob to choose the frequency of the “mid range hump” as well as a switch to choose between a classic tone and a “low boost” tone which will fatten your sound. The ST-9 Pro+ can be powered with a 9V or 18V power supply, the latter mode increasing the “headroom, frequency range, and dynamic response of the” pedal. Listening to the the sound clips, I must say the ST-9 does seem to sound like a super charged Tube Screamer. I have received some feedback suggesting I should do more “beginner” posts about guitar tone and effects. I have also noticed some interesting questions in the google keywords leading to this site. One grabbed my attention: “What is the difference between the Satchurator and the Ice 9 overdrive?”. These two pedals are designed by VOX in collaboration with Joe Satriani and the answer is: the Satchurator is a distortion whereas the Ice 9 is an overdrive. So what is the difference between a distortion and an overdrive? To put it simply, an overdrive pedal aims at simulating the creamy sound of an overdriven tube amp whereas a distortion does not try to simulate reality and usually offers more gain and is more aggressive. Way back in the sixties, the only way to get any kind of overdriven tone consisted in just cranking the volume of your tube amp to 10 or 11 if you could. And these amps had no master volume so they were really really loud. Fuzz pedals were the first attempt to reproduce this tone without having to crank your amp. They were really popular in the late sixties but they kind of missed the point and are really a different breed of effect. I will dedicate a post to fuzz pedals very soon! Later on, talented electronics wizards invented “overdrive” pedals which provided a less harsh tone. Some of them truly approached the singing sound of an overdriven tube amp, so loved by blues and classic rock players. The Ibanez Tube Screamer released in the late 70s is an example of overdrive pedal which became really successful (see my post about it). Around the same time, other wizards invented distortion pedals which generally offered a raunchier, dirtier, “gainier” tone. 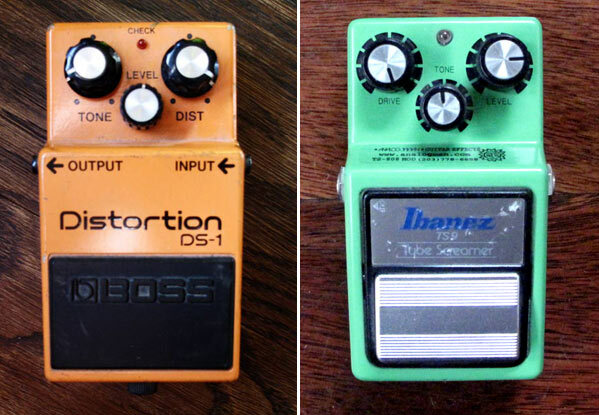 The BOSS DS-1 used a lot by Joe Satriani or the Proco Rat are two famous examples. Back in the 90s (circa 1993), I had been playing for a few years and had spent all my summer job money on a vintage Vox AC-30. It is truly an amazing amp and still is today but being a one channel non master volume amp, the only way to get some overdrive out of it was to crank it. And believe me, a cranked AC-30 is pretty loud – as in bandmates covering their ears the fist time I did it. Anyway, I decided to buy a distortion pedal and back in those days there was not the choice we have today, especially in a pre-internet smallish student town in Eastern France. So I went to the local store and the guy said: “we have these new Marshall pedals, pretty cool to get a Marshall tone out of a clean amp”. So I bought a Marshall Shredmaster and it was my main distortion pedal for a good 10 years. 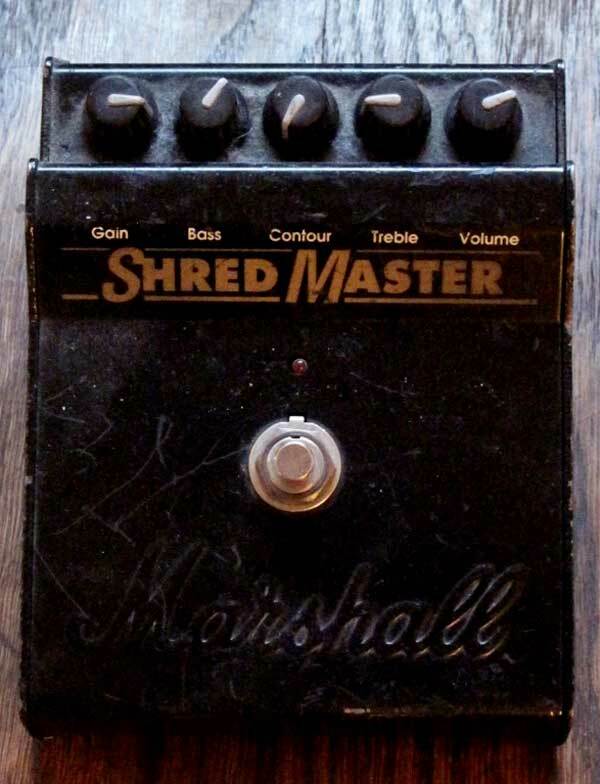 The Shredmaster was not the first pedal Marshall had released. In the 80s, they had one pedal on offering, the “guv’nor” which is still coveted by some players today. In the early 90s, they released three pedals aimed at different publics: the Bluesbreaker, the Drivemaster and the Shredmaster. The Bluesbreaker was a pretty light overdrive, the Drivemaster was supposed to sound like a Marshall JCM-800 (think classic rock) and the Shredmaster was a high gain pedal. It would not qualify as very high gain nowadays but at the time it was. The Shredmaster has been replaced in the Marshall pedal lineup by a much higher gain model: the jackhammer. As its name indicates, it was aimed at the shredding audience but the most famous guitarists to have used it are not exactly known for shredding, I am talking about Thom Yorke and Jonny Greenwood of Radiohead. Actually, once it was known they were users of the Shredmaster, the prices for the pedal on the second hand market rose considerably. The Shredmaster has a lot of fans but also a lot of detractors, I know that a lot of guitarists who have tried it or owned it think it does not live up to its reputation. Quite frankly, I think the Shredmaster was truly one of the first “Marshall in a box” pedal: properly setup and plugged in a good tube amp, it really does wonders. Mind you, as I have mentioned earlier, it does not have that much gain depending on your perspective and this is where people get disappointed if they expect a “death metal” kind of tone, although it can probably do it with the right type of guitar and/or a boost. That said I think it does cover everything from blues to classic rock and 80s shredding alike while retaining a true Marshall color. Moreover, the equalisation section featuring bass, treble and a contour knob to scoop frequency is pretty efficient. It is completed by the classical gain and volume knobs. I find the gain most efficient between 2 o’clock and the maximum setting, the first half is frankly a bit useless. The volume will give you a nice boost but nothing over the top. The Shredmaster is plugged directly into the Champ which was miked by a Shure SM-57. The reverb was added in Cubase 5 afterwards and I used the Reverence 3s Plate Reverb setting. I have improvised in these videos so pardon the mistakes. The Shredmaster is not made anymore so you will have to look on the second hand market to find one. You might also want to check the Hellrazor from Pure Analog Effects which is a very reasonably priced Shredmaster clone. There is also word that the distortion side of the Jekyll and Hyde from Visual Sound has a circuit close to the Shredmaster but I must say that the samples on the vendor’s website sound a lot heavier than a Shredmaster so I am not too sure about that. Whether you find a real one or get a clone, happy shredding!